So you want to launch a podcast... Great! I know you're excited and you want to just dive in, but let's take a moment to talk about your launch strategy. What's a launch strategy? It's a methodology that could mean the difference between a massively successful launch and a dull thud. The reason I'm so passionate about podcasting is because it has changed my life and business so dramatically, I simply can't sit by and not tell the world about how awesome podcasting actually is. Through our own podcast "The Inner Changemaker" and our online training platform "Podcast Your Brand," we've been able to build an online business that offers us incredible freedom: Freedom of time and freedom of travel. We've also had the opportunity to speak at some of the largest podcasting events around the world such as Podcast Movement in Chicago, Podcastfest in Florida and even PodCamp in my native hometown, Toronto. In this article I'm going to be sharing four key metrics that will help you have the most successful podcast launch possible. Before we begin, let me explain why I'm sharing this with you. The fact is, there's a ton of information out there on podcasting. Unfortunately, most of it is outdated. Even guides published in 2013, 2014 and 2015 are seriously out of date. The landscape of the podcasting world has changed dramatically even in the last couple of years. No matter which podcasting conference you attend, the most exciting session is always the one on monetization. The room is always standing room only. Why? Because nearly every podcaster wants to do more than just impact their audience and spread their message in a bigger way - they want to be able to generate income at the same time. Podcasting has made such a dramatic difference in my life and in my business. I've been fortunate to have built a business over the last couple of years that allows us to travel while still being able to work and podcast. We've gained freedom of time and freedom of money. I've also been able to share the stage with some of the best in the industry, whether it's speaking at Podcast Movement in Chicago or PodFest in Florida. Imagine if every time you were "stuck" whether in business or in life, you had a method to get "unstuck" immediately. Imagine if there was a framework to allow you not only to get unstuck, but to build momentum towards your goals and visions for your bigger future. This is simply not a mindset hack. Or a simple reframe. This is a systematic method I have been using the last few years with myself and my clients to get bigger results and keeps us moving toward the impact that we want to create in the world. Recently I had the opportunity to chat with Srini Rao from Unmistakable Creative. Chief Creative Instigator, podcast host and author of the Wall Street Journal bestseller The Art of Being Unmistakable, Srini has conducted over 600 interviews with thought leaders and people from every walk of life, all of whom share a special trait: in some way or another, they are unmistakable. What follows are a collection of 6 ways to be unmistakable based on our conversation. But first, what does being unmistakable actually mean? According to Srini, being unmistakable means doing things that are so distinctive, unique, and original, that they're immediately recognized as things that you did. It means that you do work so distinctive, you don't even need to put a signature on it - indeed, the work is itself a signature. It's a kind of creative fingerprint, based on your unique set of skills, experiences and personality quirks. Early this year, I had the incredible honour and pleasure to sit down for a chat with a legendary speaker and author in the personal growth and development space. 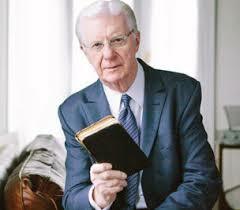 You've probably seen him in the film, The Secret, and he happens to be one of my personal heroes - Bob Procter. Though he was on the show primarily to talk about his new book, The Art of Living, we ended up covering a multitude of topics, not the least of course being the factors that influence our success or failure in life. Earlier this year, I had the incredible pleasure of interviewing Philip McKernan on my podcast, ‘The Inner Changemaker,’ and you might expect, it was a rich and insightful discussion that covered everything from understanding our relationship to money to authentic goal setting. For those not familiar with Philip's work, he speaks around the world about the importance of overcoming personal obstacles, gaining clarity, and cultivating the confidence to believe in yourself.